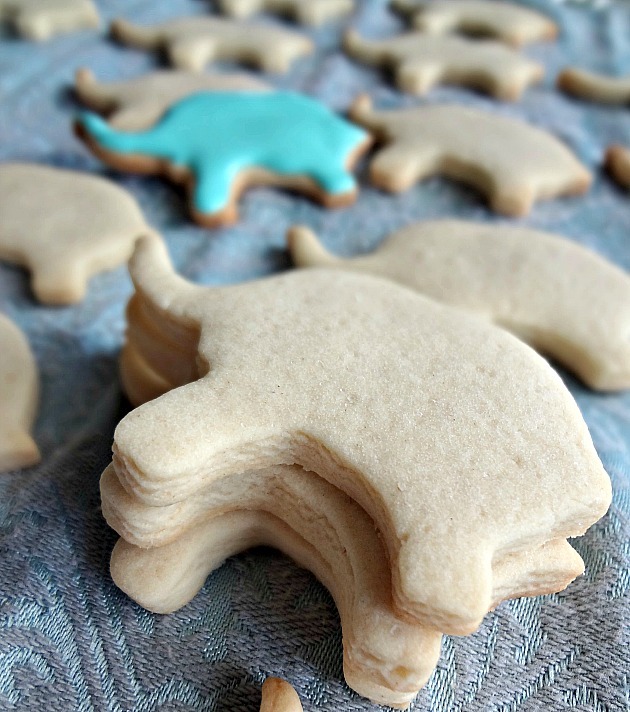 Amount of cookies varies depending on what cookie cutter you use (I got close to 70 elephants). Preheat oven to 375F degrees and line baking sheet(s) with parchment paper. Using an electric mixer (handheld or stand mixer fitted with the paddle attachment) cream together the butter and sugar until smooth. Beat in the eggs until incorporated. Add flour, cornstarch, and salt and mix on medium-low speed (it will seem very dry at first, but after a few minutes in the mixer it will gather itself into a ball--if using a hand mixer you may need to knead together a bit with your hands). Roll the dough out between two sheets of parchment paper to about 1/4 of an inch thick. 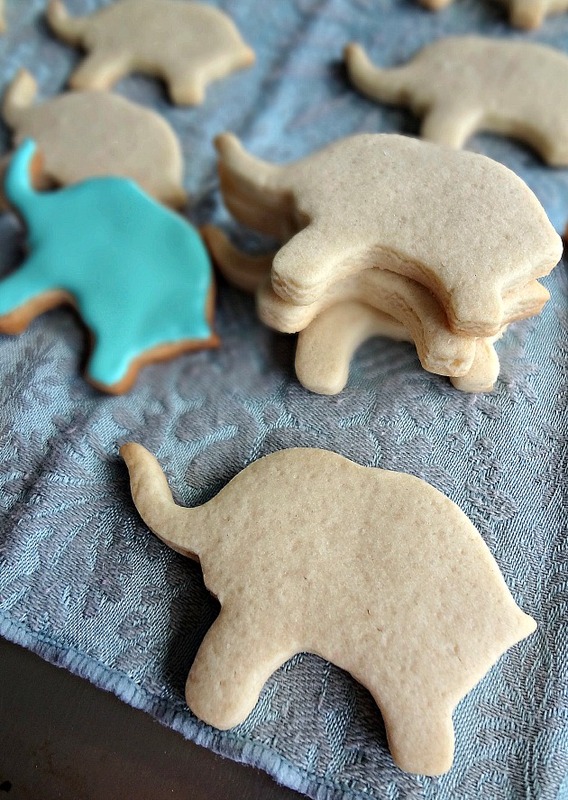 Cut into desired shapes and place on prepared cookie sheet, leaving about 1-2 inches of space between each. Bake for approximately 9-12 minutes (this can vary depending on size of cookie, though, so keep an eye on it). 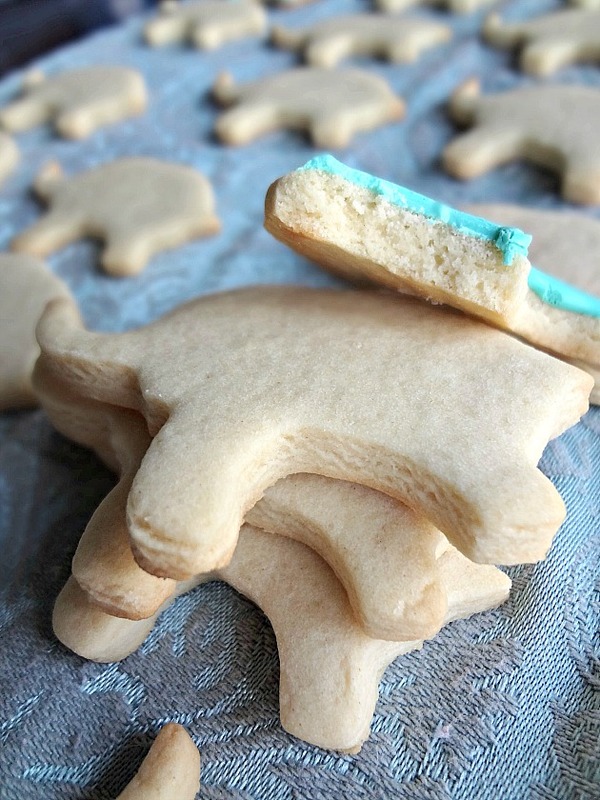 Cool completely and then decorate as desired or freeze cookies in a freezer safe bag or container (for up to 3 months) and thaw and decorate later. 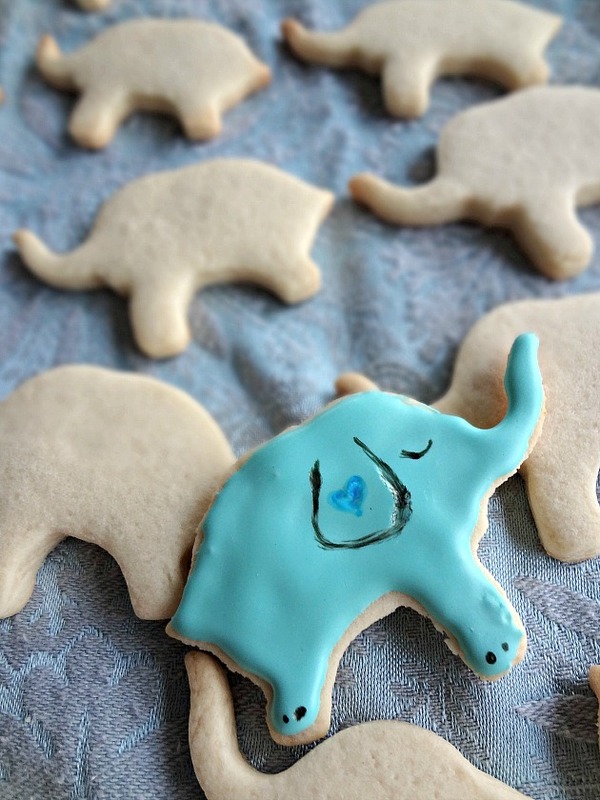 And look HOW CUTE the elephants are!! !